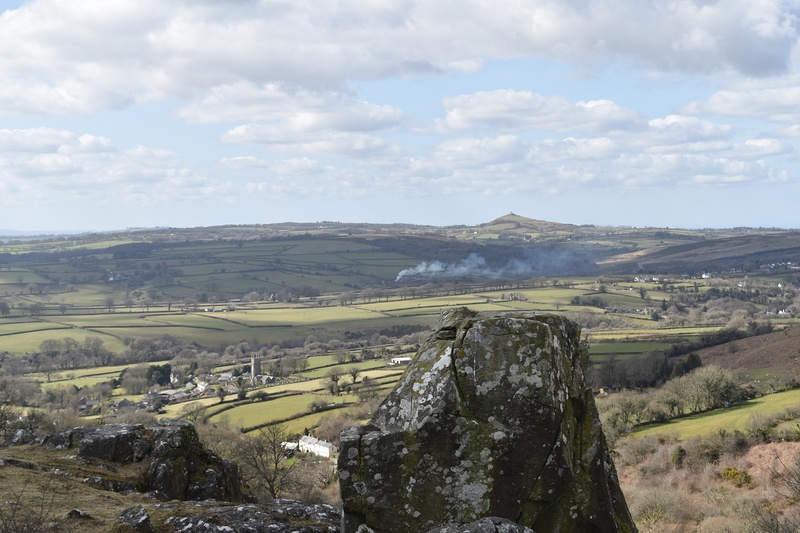 Great Combe Tor sits just to the west of Peter Tavy on the path that leads up to Sharp Tor and Cox Tor from the village. Its the last of the tors heading down the hill before you head into the woodland. 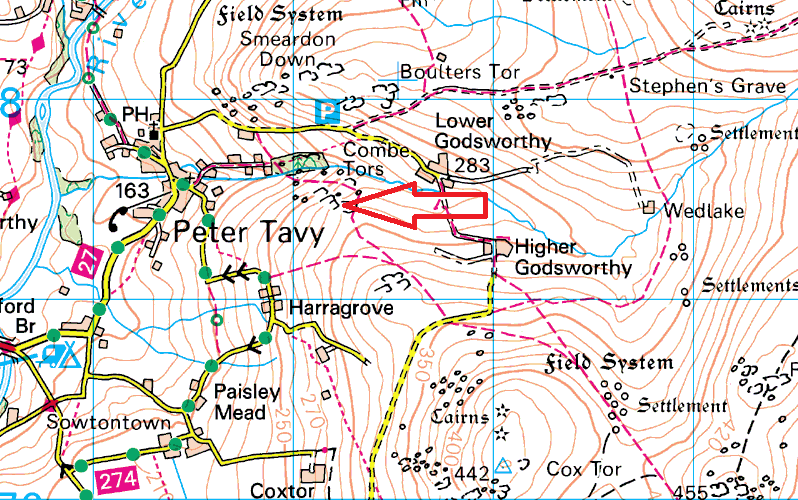 There are good views across to White Tor and back up top Cox Tor and Roos Tor, but the best views are to the west across to Brent Tor and Peter Tavy.. Its an easy tor to get to starting out at Peter Tavy (nice pub there) and following the path marked on the maps, through the wooed areas and up to the tor itself. 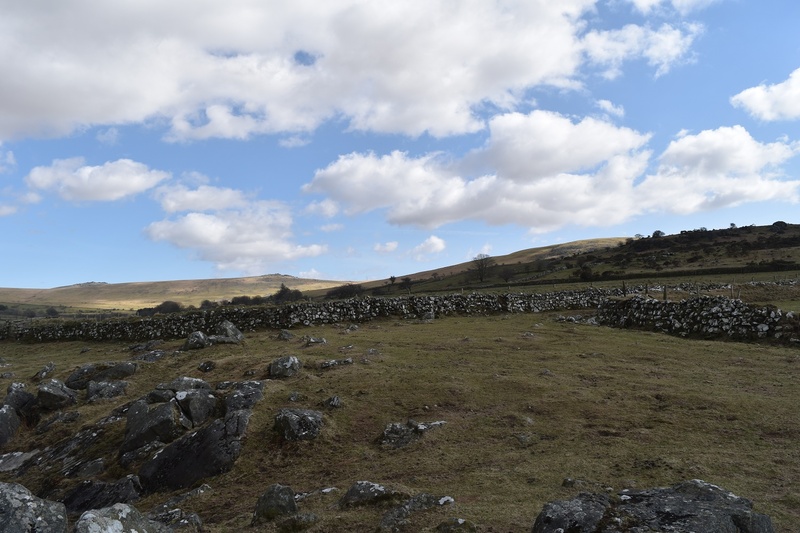 No military firing directly on this tor however the Merrivale range start at Roos Tor and White Tor nearby. Roos Tor and Great Staple Tor in the sun with Sharp Tor up the hill on the right. 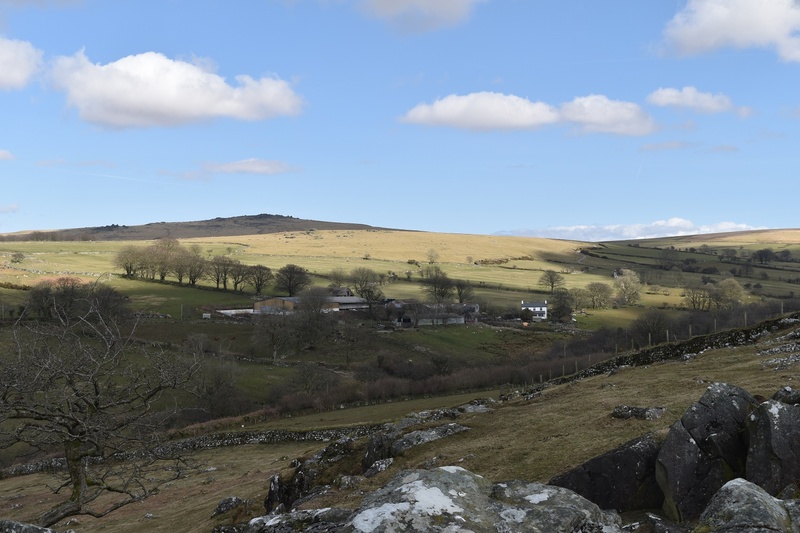 Brent Tor and the church stands proud with Peter Tavy village in view below. Sunshine and shade, looking to White Tor from Great Combe Tor. Lower Godsworthy Farm in between.